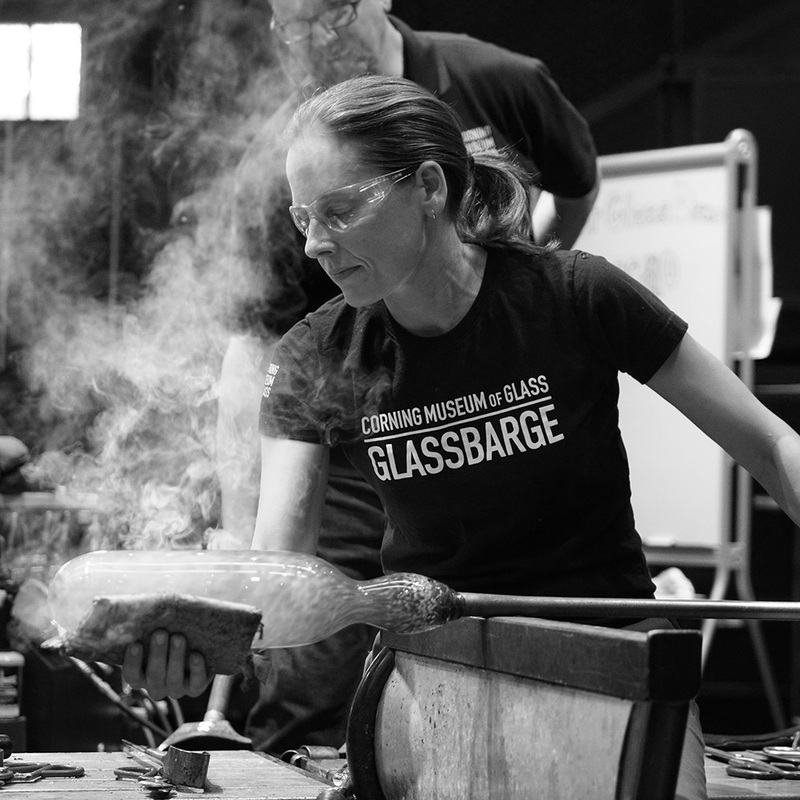 Watch live as Helen Tegeler, a member of the Hot Glass and Celebrity Cruise Ship Demo teams, demonstrates her talent as an artist in the Amphitheater Hot Shop on July 20 from 6 to 8 pm. Tegeler has an MFA from Southern Illinois University Carbondale, and her work has been featured in exhibitions across the country, as well as in the Museum’s New Glass Review 32. She has taught workshops at institutions including Tyler School of Art and the GoggleWorks Center for the Arts. In 2015, Tegeler was also an Artist-in-Residence-at The Studio of The Corning Museum of Glass. From growth patterns, developmental structures, and surface textures, Helen Tegeler feels there are infinite design possibilities when interpreting nature in glass. She loves exploring seeds in particular and the potential they hold for great change, searching for meaning in their transformation and making connections to the way we grow and set roots in our own lives.